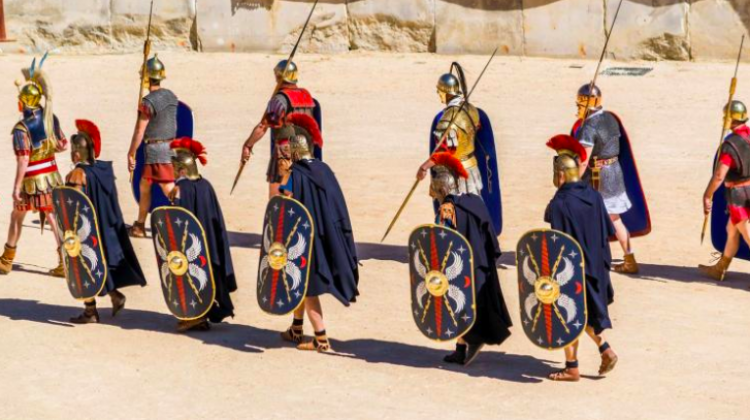 Roman soldiers were present in the area of Kujawy two thousand years ago. This is proof by discovered fragments of equestrian gear and legionnaire outfits. Many of them were discovered for the 1st time outside the borders of the Roman Empire, says Dr. Bartosz Kontny. 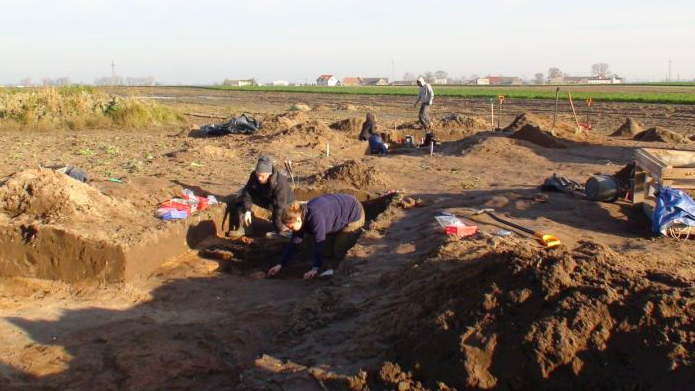 Archaeologists discovered the traces of Roman presence in Kujawy to treasure hunters, who donated some of their findings. The majority of discovered artefacts comes from the area between the villages of Gąski and Wierzbiczany (Kuyavian-Pomeranian province). Archaeologists alerted by the treasure hunters finds ventured into the area themselves and carried out excavation and surface surveys. 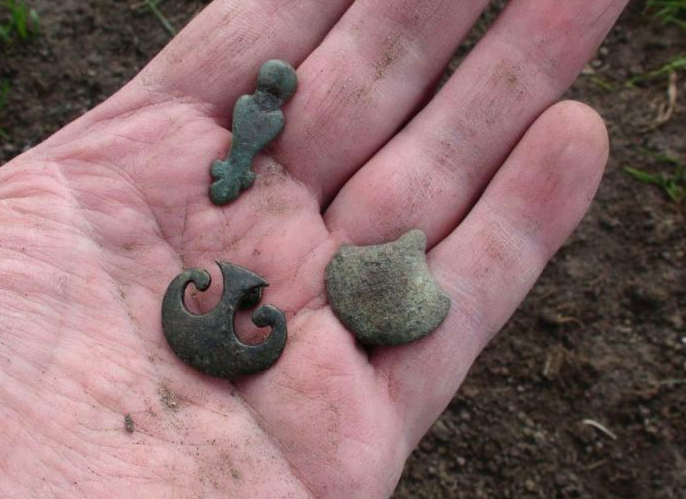 In recent months, the team led by Marcin Rudnicki from the Institute of Archaeology of the University of Warsaw found further objects of similar nature. Among the unique monuments are metal pendants that decorated the straps of the Roman horse gear. They were in the shape of phalluses or vulvas (female womb). “These amulets were believed to ensure happiness and protect against evil force, they had apotropaic meaning” – said Dr. Kontny. As a truly unique object among the analysed artifacts, the archaeologist mentions a gold plated copper application for a hip belt. It depicts a spear of a beneficiarius, a high ranking officer of the Roman army. “It was an attribute of his power” – says the archaeologist. Such a large accumulation of similar Roman objects in other places in the barbarian Europe – for example in central Germany (where, for example, the local population was recruited to the legions) is clearly associated with physical Roman presences. “But, there are only a few such places on the map of Europe” – notes the archaeologists. In his opinion, such a large accumulation of objects related to the Roman presence in Kujawy shows that this region had to be a regional cultural and social centre. “This could also be connected with the amber road – the Romans valued this material” – he adds. According to the archaeologists, the Romans could be present in the area of today’s Kujawy for several reasons depending on the period, because the objects attesting to their presence are from 2 to 1.6 thousand years old. At the end of the antiquity, the Romans could venture into Kujawy to recruit soldiers from among the German – during this period, barbarians, people from outside the Roman Empire, also served in the legions. At the end of the 1st century AD, the Romans could come to this area at the request of the Lugii (Vandals), who were fighting the Suebi. Archaeologists believe that the Lugii were among the representatives of Przeworsk culture (living also in the area of Kujawy in the 1st centuries of our era). Excavation in the area of Gąski and Wierzbiczany. Research in the area of Gąski and Wierzbiczany was carried out as part of the National Science Centre Maestro project “Migration period in the Odra and Vistula basin” led by Prof. Aleksander Bursche from the Institute of Archaeology, University of Warsaw.